One of my favorite wines to drink in the summer is Godello (pronounced go-DAY-oh), a seemingly obscure white variety from the northwest Spanish region, Galicia. 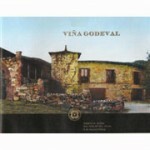 I discovered this grape a few years back when I snagged a bottel of Bodegas Godeval from our Berkeley retail store. I was immediately hooked and found the balance and character of this wine simply addictive. It’s crisp and refreshing, with a delicious minerality component. The aromas and flavors are complex, the mouthfeel is textured and almost creamy, the finish lingering and in all, the wine is completely balanced. You can read more of the tasting note on our website, but it may interest you to know a bit more about the grape. The hot spot for Godello is the Valdeorras DO, a sub-region of Galacia, best known for the trendy Albarino grape. Godello is a native of the region, and has picked up in popularity these past few years. But just 30 years ago or so, it was nearly extinct! Luckily, winemakers in the area believed in its potential, and vineyard plantings increased. Known for great aromatics, high acidity and layers of flavor, Godello will probably continue to grow, in both the vineyard and on retail shelves. Like many grapes (and wines) from the Galicia area, Godello is a perfect companion to seafood dishes, though with it’s range of flavors and weighty texture, its all-over a food-friendly wine. We have a few Godellos on the site, but I hope to see more. Give a bottle a try and you’ll see why we’re gaga for Godello!